Artificial Intelligence (AI) is reshaping accounting and bookkeeping in ways never seen before in modern history. This change is catching many CPAs and bookkeepers completely off-guard...woefully unprepared to survive and thrive. Is your firm prepared for the changes that AI and machine learning are bringing to public accounting? Will you be able to overcome these highly-disruptive market forces? This webinar is especially important for CPA firms, outsourced accounting providers, bookkeeping firms, and virtual CFOs. 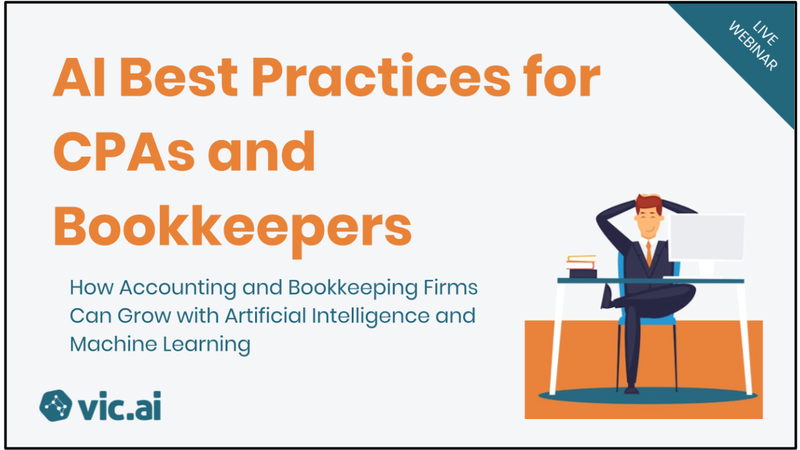 Just fill out the short form on this page to get access to the webinar recording of AI Best Practices for CPAs and Bookkeepers.